By adding charming new porches, we were able to give the Parkway Homes facades a more traditional neighborhood feel. 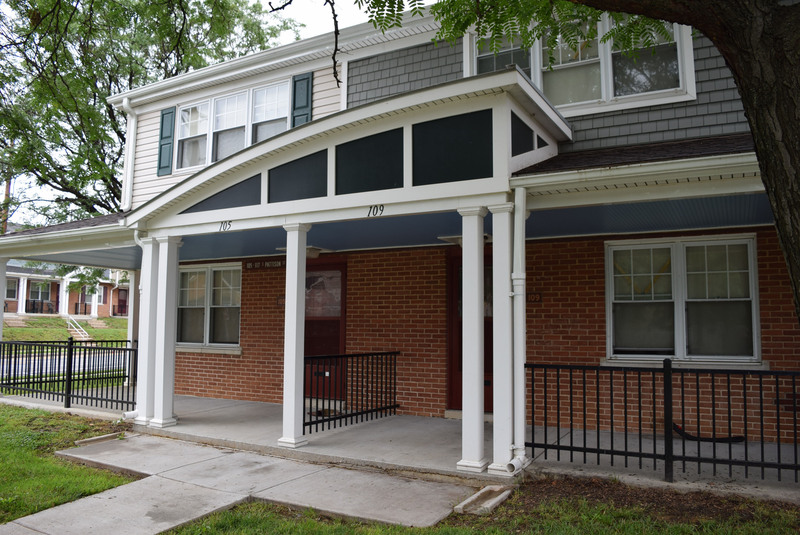 Window and roof replacements, along with a new siding in a fresh color scheme, help improve energy efficiency for the residents while freshening up the overall look. Other projects we completed for the York Housing Authority include bathroom upgrades, underground gas line replacement and electrical service improvements. With playful forms and colors, the front porches of Wellington Homes turn heads and present a modern appeal. The variety of exterior siding and sky blue painted porch ceiling further accent the facades of this attractive development. 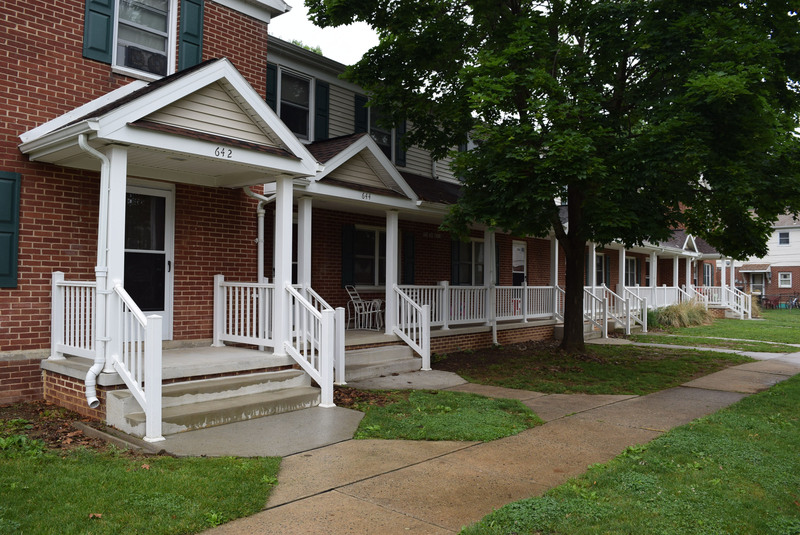 These cottage apartments are just some of the many housing opportunities offered by the York Housing Authority. 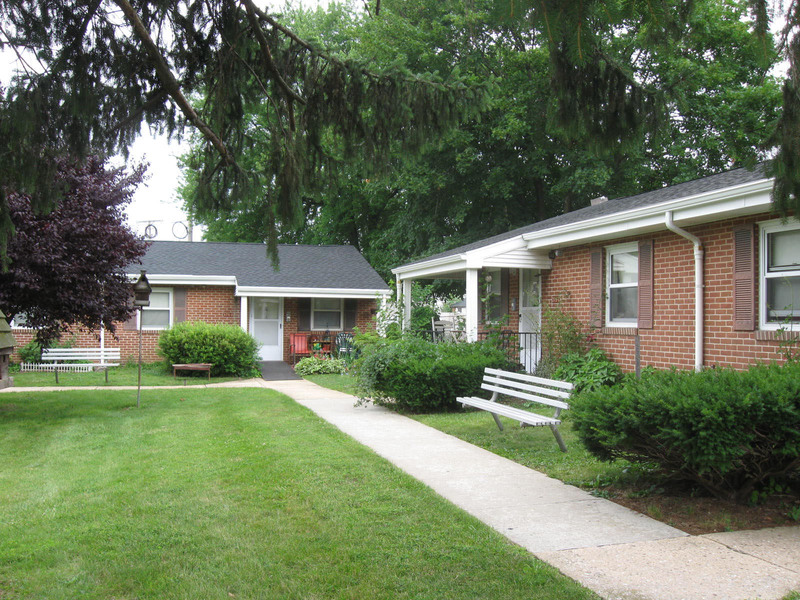 We replaced roofs and sidewalks, and rehabilitated the concrete porches to maintain the home’s warm, inviting presence. Summer months led to overheated corridors at the Springfield Apartments. 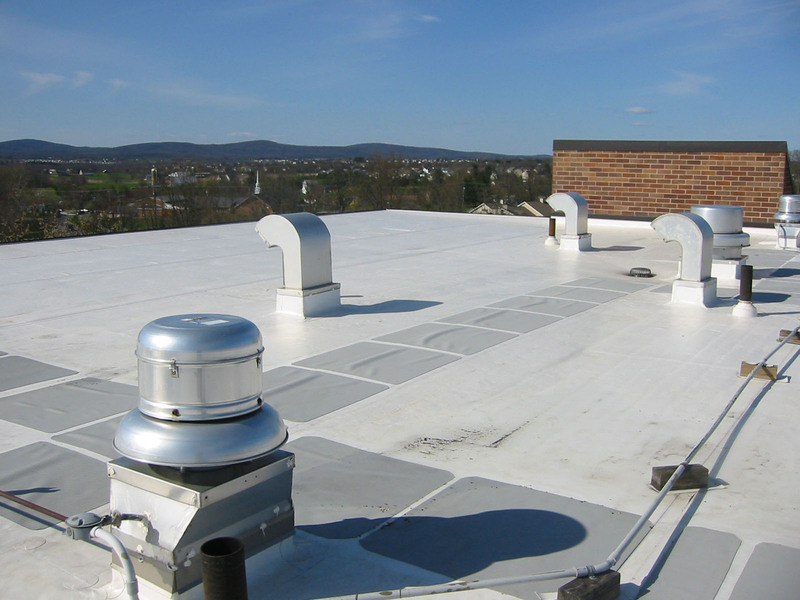 We solved the problem, and improved residents’ comfort, by installing a reflective white roof to reduce heat gain in the air-conditioned corridors.